The WICE ladies residing downstate have partnered with Bottomless Closet for a volunteering event on Thursday, April 20 at 6 p.m. in New York City. We will be assisting women set up professional LinkedIn and Facebook pages. If you’d like to volunteer at this great organization, please email info@wiceny.com to sign up. 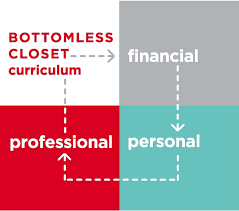 Bottomless Closet is located at 16 East 52nd Street (15th Floor) between Madison and 5th Ave.